Our story begins in a luxury suite of a fashionable London hotel. A homeless gentleman awakens and tricks room service into repairing his clothes. Soon, a chance meeting with the bullied maid sent to his room will change their lives forever – but they don’t know this yet. Inspired by the humour and sentimentality of the golden age of silent movies, and with original live music but not a word spoken on stage, an epic romance is starting from the most humble beginnings. This is a small project that may one day turn into a bigger one. 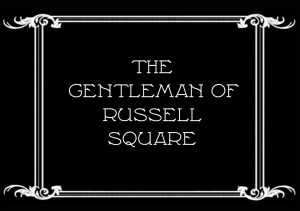 The Gentleman of Russell Square is an idea I have for a silent movie on stage. I'm a great fan of Charlie Chaplin's later films, and this will be very much a homage, telling a epic love story entirely through silent action and music. And yes, there will be title cards. However, this will need a lot of development before it's ready to go on stage, so the first step as a scratch performance of the first scene, which should run somewhere between 10 and 15 minutes. If that goes well, I may one day try to do the rest of it. The first performance will be at Durham Dramatic Society's City Theatre on Friday 28th October at 7.30 p.m.. This is for DDS members only. The second performance will be at Next Up ..., the Gala Theatre's scratch night, on Wednesday 2nd October. Tickets and £4 should be available on the door, but if you want to make absolutely sure you can book here. Copyright (seeing as all websites seem to need this kind of notice at the bottom of the page) © 2011-2016. 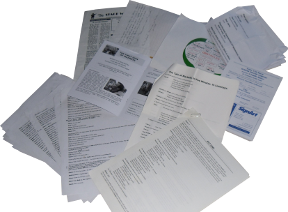 I will probably give permission to anyone who wants to reproduce any part of this page, but please ask me first. This is my own personal web page and not affiliated with Durham Dramatic Society or any other group I am involved in.